Good morning! 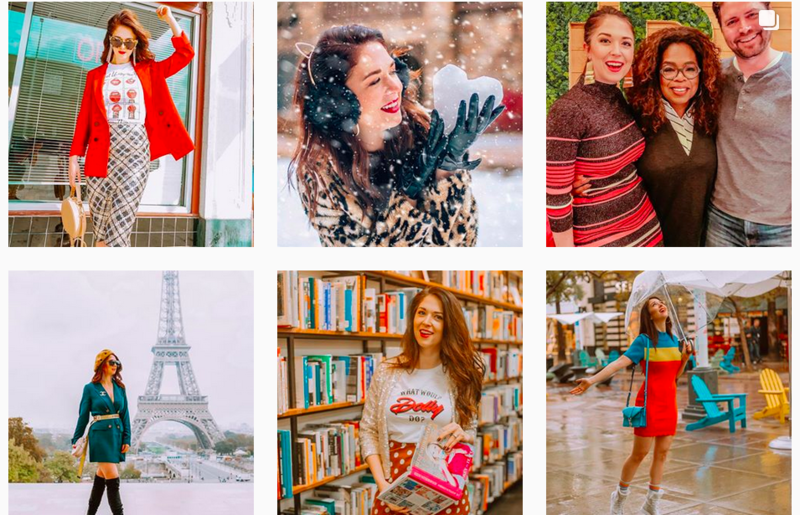 For a little something different today I wanted to share with you 6 instagram accounts to follow in 2019. These are accounts that I personally love and think you will as well. Instagram is such a weird “game” at this point; I’m sure you’ve heard bloggers complain ad nauseam about the friggin’ algorithm. I won’t belabor the point, but basically instagram is making it harder and harder for small businesses and bloggers to be seen. As such, you may not have heard of these amazing accounts so I figured I would share them with you. If you’re not following my instagram yet, be sure to do that as well! Tanks Good News is brought to you by the man behind popular meme account Tank Sinatra. This account, exactly as you’d expect, exists to bring you good news. 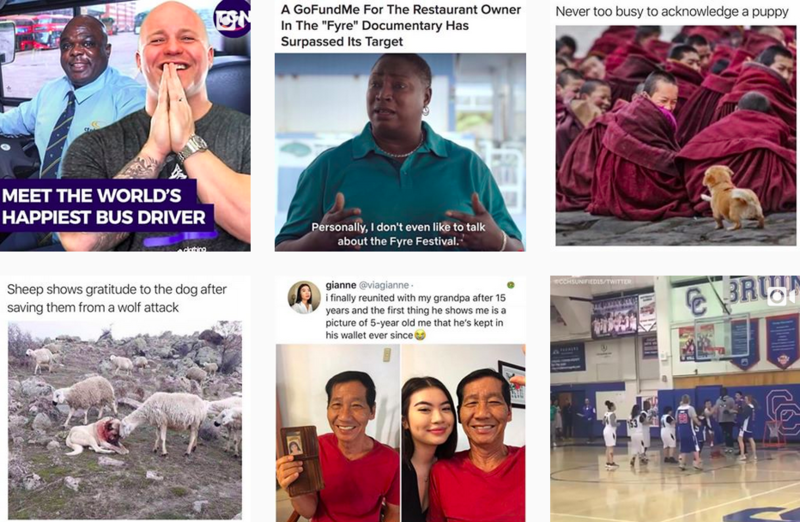 With so much negativity in the media this account is well worth a follow in 2019 to remind you of all the good things – big and small- happening in the world. 1 million people (the amount already following Tanksgoodnews) can’t be wrong! This lovely human is a fashion blogger with a whimsical twist. I included her on this list because her account, to me, is the ultimate creative representation of what fashion blogging can be. 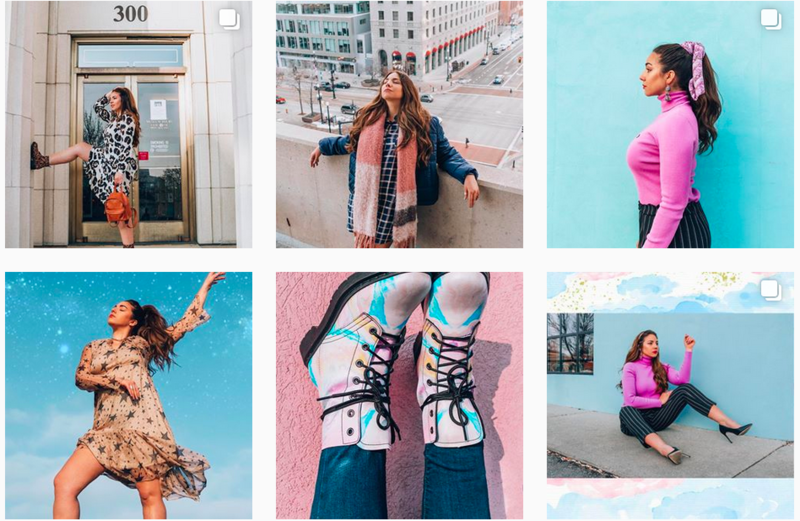 She doesn’t just snap outfit photos in front of a wall (not that there is anything wrong with that) but her account is so creative in her photo styling that it’s really, really cool and unique. 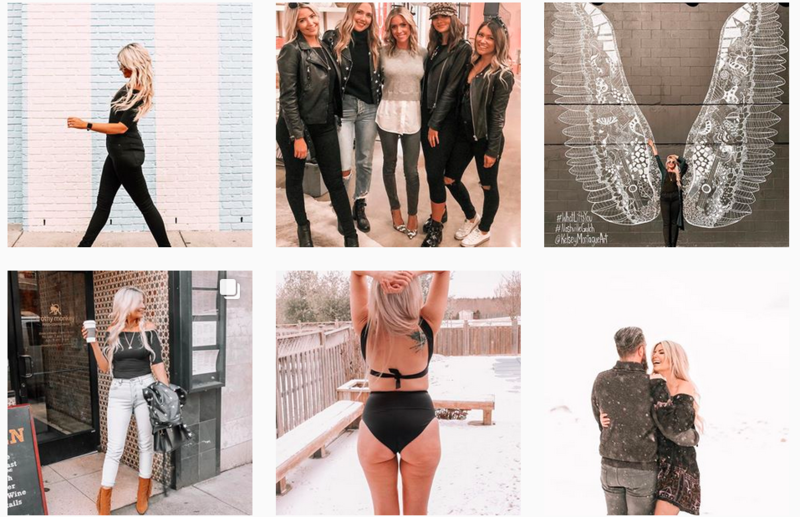 Sarah from thebirdspapaya is you’re everyday body positivity hero (with wings … you’ll get that reference after getting to know her account haha). Consider this account your 2019 healthy dose of reality when it comes to body positivity and the messaging being sent by the media about weight loss, beauty, etc. Her account will remind you to love yourself, will inspire you, and will make you laugh since she’s a regular old goof ball. Jess Moore is an LA based fashion blogger whom I am lucky to call my friend. 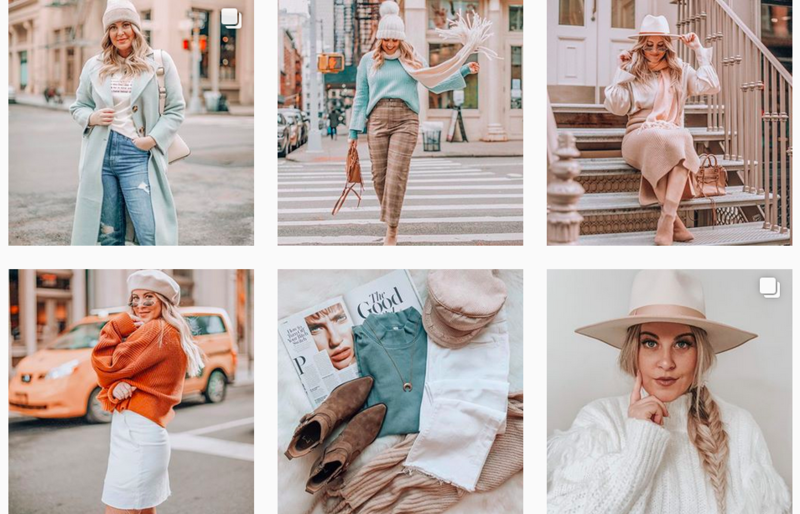 I’ve included her account on this list because her fashion sense and the outfits she shares stand out among the plethora of fashion bloggers as being uniquely creative, bright, and fun. I am always amazed by the pieces she puts together- especially with accessories because she creates looks that I would never even think to and they look amazing. Definitely give her a follow for fun fashion inspiration. In case you can’t already tell, I am so inspired this year by accounts that are putting positive messages out there. Selfcareisforeveryone does just that. Follow along for some healthy reminders of self-love and the journey we are all going through. Last, but certainly not least, Danielle. Danielle is another fashion account that I can’t get enough of. Her fashion is light and airy and so beautiful. Her content itself is also stunning, so it’s fun just to look at. I think you will love it. That’s a wrap! I hope you liked this round-up of 6 instagram accounts to follow in 2019. Had you heard of these accounts before now? Any accounts you think are must follows for 2019? Let me know in the comments below! "Getting Ready for New York Fashion Week"
These look like such fun accounts to follow. I will have to go check them out! 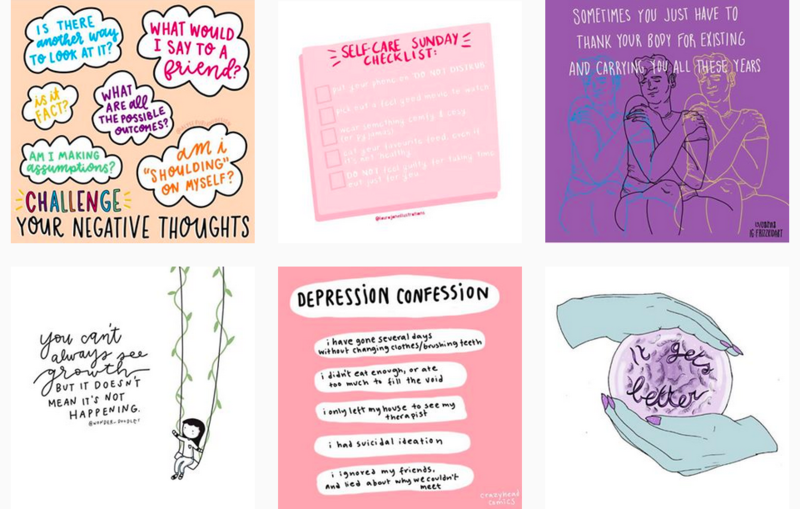 Oh the SelfCare account looks amazing! Great post! It’s so cool right!! 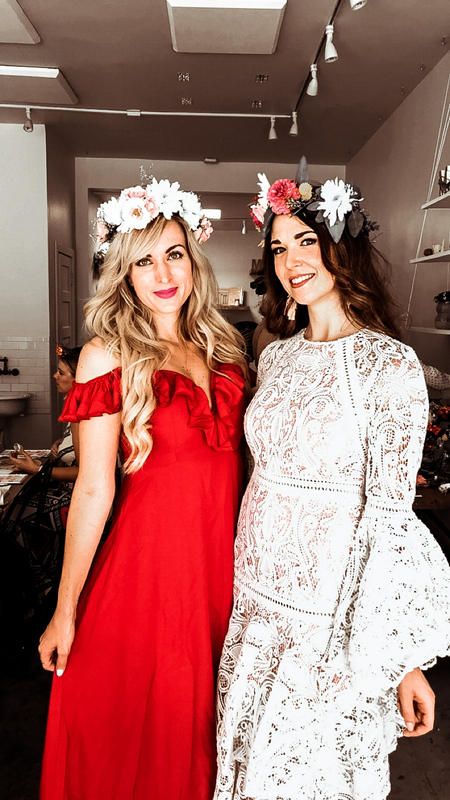 Such an important component of instagram – reminding you it’s not all just about pretty pictures and going down that slippery comparison slope. You’ve shared some wonderful accounts! Thank you for supporting and empowering other women. Thank you for reading!! I’m so glad you like the accounts! Aww love Jessica and Lauryn! I’m a huge fan of Danielle’s account too! So many great women right! Thanks for sharing! It’s always fun to find new accounts to follow and get inspired or motivated by! These are all such great accounts! Thanks for the recommendations! Oh I follow some of these ladies and love @lauryncakes! Thanks for sharing your picks! Isn’t she the sweetest… and also I just want her hair so badly haha! How am I not following any of these accounts?! So many good ones that I need to follow ASAP! Haha right!! Such great ones. So many great accounts here! I love Jess of @missmoorestyle! Love posts like this! So fun finding new accounts to follow – thanks for sharing lady! Thank you for sharing these, Lee! I already follow some of the accounts but I’m always to happy to find new, inspiring ones! I’ll have to check out some of these accounts! I already follow a few of these accounts, but I hadn’t heard of Tanks Good News and I love that page now! We need more positivity in this world. Thanks for sharing! Isn’t it such a great account? I love the added bit of positivity in my day. I know of a few of these accounts but I’ll have to check out the others soon. Thanks for sharing, these are some great accounts to follow! Going to follow all of these accounts now!! They are so inspiring!